Whether you are having a civil ceremony, a grand reception, or both, our dedicated and experienced staff will offer you expert guidance to ensure your day is one to remember. To find out more please call 0116 262 6556 or email contact@athenacb.co.uk. 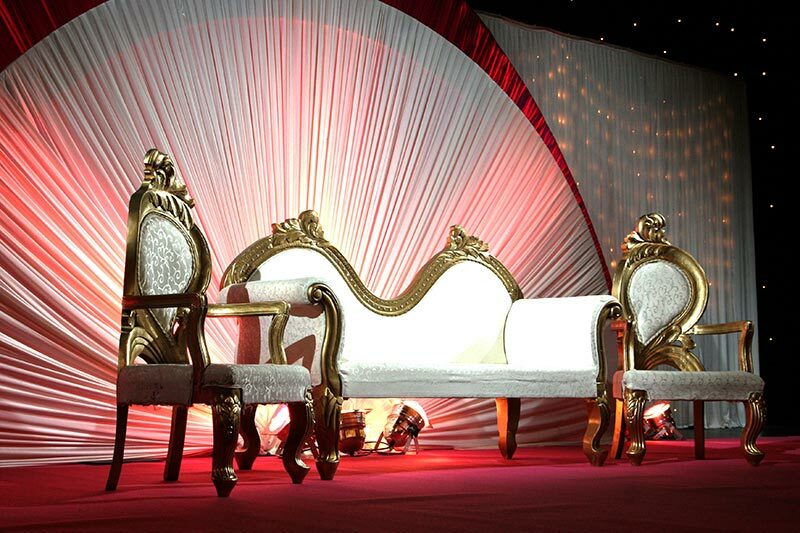 We are proud to host a variety of Asian weddings and are permitted to hold civil ceremonies. Take a look at our ceremonies video. We understand that with an important event comes a lot of questions. You can either contact us directly with your queries or take a look at our Frequently Asked Questions. To truly experience the splendour of the venue, we would strongly recommend viewing. All to do is call the office on 0116 2626556 or email contact@athenacb.co.uk and one of our team will book you in for an appointment. Do you provide decor services? Yes, we love to. In fact, over the last 15 years we have decorated many, many weddings with complete theming packages. Please feel free to contact us for ideas of what we can do. Do you provide drinks packages? Yes, we understand that people do not want the hassle of thinking about their drinks and can provide unlimited drinks packages for spirits, beers and soft drinks, so you don't have to worry about running out. Do you allow external caterers? Yes we understand that you may have your preferred caterers. We may require health and safety and insurance documentation from your external caterer. Yes, you may bring in your own soft drinks, wine, spirits and champagne, free of corkage. Can I provisionally book the venue? We understand that there is a lot to coordinate before you can confirm the venue, so feel free to call or email us to provisionally hold a date whilst you make arrangements. How do I confirm the date? To confirm the date, we require a signed contract and a deposit. Flexbile payment terms can be agreed if required. We have been coordinating weddings for over 15 years and can suggest shortlist caterers, DJs, decorators and other suppliers to help turn your dreams into reality. Of course, these are only suggestions and you are more than welcome to use whoever you are comfortable with. Can I park at Athena? Yes, Athena has a surface car park located onsite on Queen Street (LE1 1QD). Additional spaces are available in the NCP car park on Rutland Street (LE1 1TQ), located directly opposite the venue, and tickets for this car park can be validated within the venue for £5 for 24hrs of parking. No, we do not have on site accommodation, however we do have multiple hotels within walking distance of the venue. Please contact us for a list if required. Do you have AV on site? Yes, we provide a spectacular in-house sound and lighting package along with a technician for your event.